Both the boys enjoy playing hopscotch so I thought we could do a calendar hopscotch. 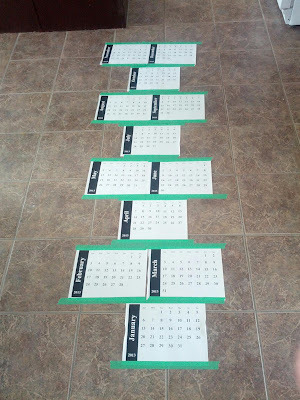 Old calendar or a printed monthly calendar - We used the calendar that we printed off for our Calendar Hop Activity to make the hopscotch. Tape - I used painter's tape. 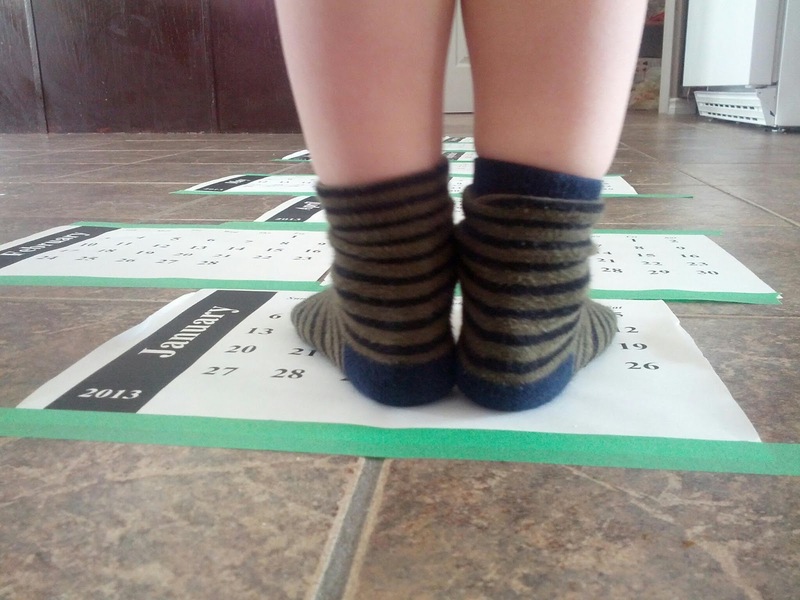 I had J help me put the hopscotch together by reciting the months together in order. 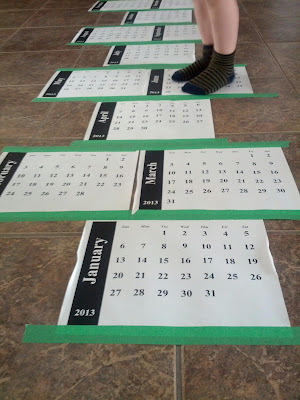 So I would say, "January" and he would try to find that month, tape it to the kitchen floor, and then we would repeat for the remaining months. I'm looking forward to the snow melting some more so that we can get outside to draw some hopscotch on our driveway and play a variety of different hopscotch games. Really? That's so sad! J loves doing hopscotch. We played it many times last summer on our driveway.